You’re in the market for a no medical exam term life insurance policy but are unsure of which company to choose? No problem we got you covered. Below is a quick comparison chart that will provide you with a list of all the best no medical exam term life insurance companies. In addition to our quick comparison chart, we go in depth a little further about each company and the no exam coverage they can offer to you. Life insurance that doesn’t require a medical exam or health physical is fairly new to the insurance marketplace. It’s so new that there are currently just a few life insurance companies that offer it. However, since it has become a very sought after type of life insurance coverage, we strongly believe that it’s only a matter of time before many more companies add it to their line of life insurance coverage. The biggest difference between a no exam life insurance policy and fully underwritten life insurance policy is the medical exam requirement. How is no exam and fully underwritten life insurance alike? How is no exam and fully underwritten life insurance different? No exam life insurance is designed to be a hassle-free way of getting fast life insurance coverage. In order for that to work, the medical exam is removed from the entire application process. Along with the removal of the entire medical exam, life insurance companies rely on the use other efficient methods to underwrite no exam applications. Medical Information Bureau Check (MIB) The MIB check provides the insurance company with information pertaining any past insurance applications. Prescription Check (Rx) The Rx check provides the insurance company with a list of medications that have been prescribed to you. This check is also referred to as a pharmacy check. Motor Vehicle Report Check (MRV) The MVR check provides the insurance company with a report of your driving history. The MVR discloses any negative violations against your driver’s licenses. Medical Records (APS) Medical records are only ordered on an as-needed basis if the coverage allows for it and if it’s necessary to help aid in the underwriting process. Credit History Check The credit history check is not a common underwriting tool. Only a few life insurance companies use the credit history check. If you have decided to apply for a life insurance without a medical exam, you will need to complete an application. Depending on the life insurance company you may have the option to complete the application by paper, online or even telephone. Most no exam life insurance applications can be broken down into two parts. Part 1: Personal information that is non-health related. Application questions consist of information such as name, SSN, employer, annual income, home address, place of birth, beneficiary information etc. Part 2: Questions pertaining to health history. Part two of the insurance application will ask several questions pertaining to your health, doctors you have visited, medications taken and even question pertaining to your families health. 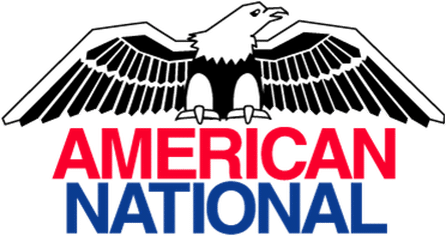 American National’s Signature Term Express is a great term life insurance no exam option. Although the best health class is a standard, premiums are still very competitively priced against other competition at all death benefits, from $50,000 to $250,000. In addition to affordable rates, the life insurance coverage comes with a full living benefits package that can provide income in the sudden event of a critical, chronic or terminal illness. All of this is added at no additional cost. Signature Term Express can be applied for by paper application or done electronically online with an agent for faster underwriting. For those in good health, approval times can range from 24-72 hours. However, ANICO is very good with underwriting those with health issues that may be considered the higher risk for some of the other no exam companies. The critical illness rider pays out an early portion of the death benefit if diagnosed with qualifying critical illness. Qualifying critical illnesses include, heart attack, stroke, invasive cancer, diagnosis of end-stage renal failure, major organ transplant, diagnosis of ALS (Amyotrophic Lateral Sclerosis), blindness, paralysis, arterial aneurysms, central nervous system tumors, major multi-system trauma, autoimmune deficiency syndrome (AIDS), severe disease of any organ, severe central nervous system disease, major burns and loss of limbs. The chronic illness rider pays out an early portion of the death benefit if diagnosed with a qualifying chronic illness. A qualifying chronic illness is when you are unable to perform at least two (2) activities of daily living for a period of 90 days. Daily activities of living include bathing, continence, dressing, eating, toileting or transferring. The terminal illness rider pays out an early portion of the death benefit if diagnosed with a qualifying severe medical or chronic illness that will result in death within 12-24 months. Signature Term Express provides the option to convert up to 100% of the death benefit to permanent life insurance coverage without the evidence of insurability. Conversion must be done before age 65 or prior to the level term coverage expires, whichever comes first. If the option to convert to permanent coverage is made within the first five years of purchasing the policy, 100% of the annual premium for the term coverage will be applied to the price of the conversion as a credit. The Children’s Term Rider is an optional rider that can be added to an adult’s term life insurance policy. The rider provides up to a maximum of $25,000 of level term coverage to each child to the age of 25. The Children’s Term Rider can also be converted into permanent coverage at any time without any evidence of insurability. If the rider is converted at age 25, the maximum death benefit will double to $50,000. The Disability Waiver of Premium Rider is an optional rider that can be added to Signature Term Express coverage. The rider will waive the life insurance premiums if proof of total disability has occurred. Assurity NonMed Term 350 offers a wide variety of both death benefits from $50,000 to $350,000 with several optional policy riders. This makes their term life insurance a good option for young families with higher insurance need as well as seniors that may not require as much life insurance. 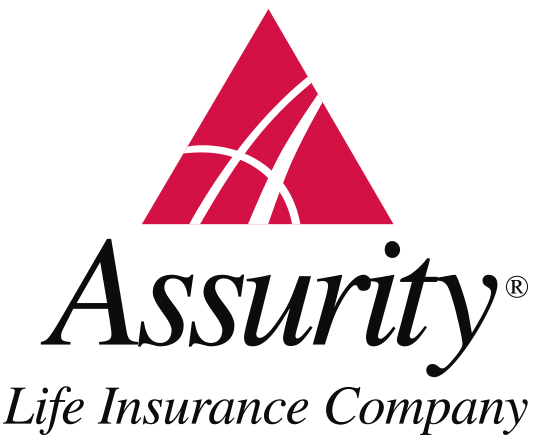 Assurity tends be priced a bit on the higher end among other non-med life insurance companies. They are often competitive for those in excellent health that can qualify for Select Plus. If you use tobacco products you might also find Assurity, as one of the better priced no exam companies. Another positive of Assurity’s NonMed Term 350 is that they will consider approval on many higher risk health conditions that others won’t accept. NonMed 350 Term can be applied for by paper application or done electronically online with an agent for faster underwriting. For those in good health, approval times usually can be made within a week. Applicants that have certain medical conditions may require Assurity to retrieve a copy of medical records causing a delay in underwriting time. The Accelerated Benefit Rider that allows for an advanced payment of the death benefit if diagnosed with a terminal illness or if the insured is required to permanently reside in a nursing home facility. The eligible proceeds will be equal to a percentage of the policy death benefit or up to a total of $250,000. NonMed Term 350 has a conversion option that allows for the term policy to be switched to permanent life insurance coverage without the evidence of insurability. 15, 20 and 30-year policies must be converted 2 year prior to level premium expire date. 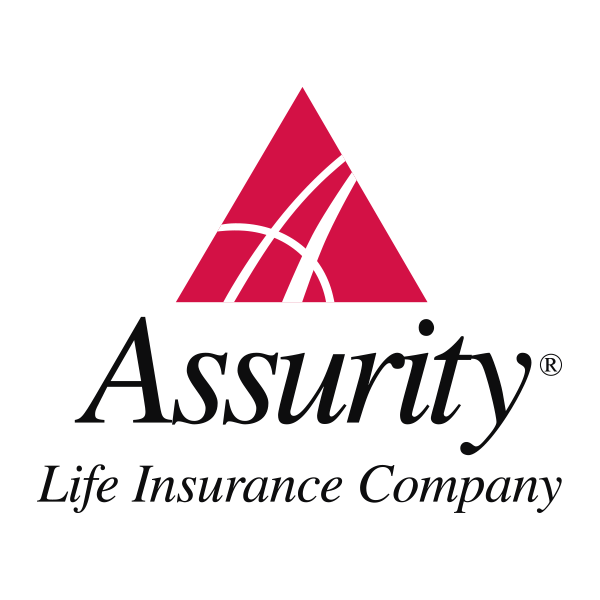 Assurity provides a conversion credit if 100% of the death benefit is converted to permanent life insurance coverage. The premium credit is equal to the annual premium of the term policy. A partial conversion will receive a prorated credit towards the conversion. This rider provides a monthly income if you become totally disabled due to a covered accident. The monthly benefit is the lesser of $3000 per month or 1.5 percent of the death benefit of the life insurance policy. The monthly benefit amount is limited to a maximum of 60% of the insured’s gross earned monthly income (40% in California). NOTE: NonMed Term 350 also offers a second disability income rider called “Monthly Disability Income Rider” that pays out monthly payments due to a covered accident or sickness. The Other Insured Term Rider provides term life insurance on a spouse, business partner or person with an insurable interest. It allows for two lives to be insured on one policy. The maximum coverage amount is $350,000 but cannot exceed the death benefit amount of the primary insured. The Children’s Term Rider can also be converted to into permanent coverage at any time without any evidence of insurability. If the rider is converted at age 25, the maximum death benefit will double to $50,000. The Critical Illness Benefit Rider pays out a lump sum payment of $20,000 to a maximum of $100,000 if the insured is diagnosed with a qualifying critical illness. A critical illness payout is a separate payout from the death benefit. The Critical Illness Benefit Rider can be used on multiple critical illnesses, but never twice on the same illness. The Disability Waiver of Premium Rider is an optional rider that can be added to Signature Term Express coverage. The rider will waive the life insurance premiums if proof of total disability has occurred keeping the life insurance active. The Return of Premium Benefit Rider provides a refund of premium paid if the life insurance policy is terminated or the level premium period has expired. NOTE: The Return of Premium Benefit Rider can only be added to both the 20 and 30-year term policies. If you’re looking for fast life insurance with a simple application process, Fidelity’s Rapid Decision Express may be it. There are not many bells and whistles that come with their life insurance coverage, but underwriting and approval can be as quick as 24 hours. Their coverage is priced fairly well among the other no exam life insurance companies at the standard health class. Coverage can be purchased as high as $250,000 and as low as $25,000 making it a great option for seniors requiring smaller amounts of protection. One of two drawbacks to Rapid Decision Express is that it does not have a conversion option to convert to permanent coverage. The second drawback is for applicants with health conditions that may be considered high risk. Since Rapid Decision Express is underwritten on an Accept/Reject basis, many health risks will not qualify for their simplified non-medical underwriting. Rapid Decision Express can only be applied for with an agent through their online Rapid App System otherwise know as an e-app. Applicants that qualify for coverage can often expect an approval within 24-48 hours. The Dependent Child Rider allows for up to $25,000 of life insurance coverage for eligible dependents. Coverage will expire at age 23 or if the primary insured has turned age 65, whichever is earlier. The Accidental Death Benefit rider pays an additional benefit if death occurs due to an accidental cause. The maximum amount of accidental coverage that can be elected is $250,000. With Foresters Your Term life insurance, you can expect membership benefits, several free and optional policy riders and up to $400,000 of no medical exam coverage. Foresters Financial is fairly new to the non-medical exam market, but they are making a huge impact. One very large reason for this is due to them having some of the fastest approval times. They are so fast that some applicants can be approved within 10 minutes of the application being submitted. In addition to fast underwriting, Your Term currently offers no exam underwriting up to age 80 for those requiring life insurance coverage less than $150,000. Your Term can be applied for by both paper application or electronically online with an agent. The online application submission will result in faster underwriting. Not everyone will qualify for quick approval and those with riskier health conditions may not qualify. Approval is based on an accept or reject basis. The Charity Benefit Provision pays out an additional 1% of the policy death benefit to a designated registered charitable organization of the insured’s choice. This rider pays up to double of the death benefit if death occurs within 180 days due to an accidental bodily injury while on a common carrier as a fare-paying passenger. The maximum payout is $300,000. The Family Health Benefit Rider provides an additional benefit of up to $650 per person or $5000 per family for hospital and ambulance services. The injury must have occurred as a result of a hurricane, tsunami, earthquake, volcanic eruption, lightning strike, tornado or typhoon. The Accelerated Death Benefit Rider provides an option to accelerated the policy’s death benefit due to an eligible critical, chronic or terminal illness. Your Term life insurance comes with a conversion option that allows for the insured to convert to permanent life insurance without any evidence of insurability. In order to be eligible, conversion must be done at least five years prior to the level term expiring or prior to age 65, whichever occurs first. The Disability Income Rider pays a monthly income for up to two years if insured has become totally disabled within 180 days of the injury. This rider comes in two available options that can trigger a payout. These options are accident only or accident and sickness. The Accidental Death Benefit rider pays an additional benefit if death occurs due to an accidental cause. The maximum amount of accidental coverage that can be added to coverage is $300,000. The Children’s Term Rider provides level term life insurance for each eligible child of the insured, whether born, adopted or under legal guardianship, or stepchild, of the insured. The Waiver of Premium Rider waives the life insurance premiums if the insured becomes totally disabled for 6 months and is unable to work. 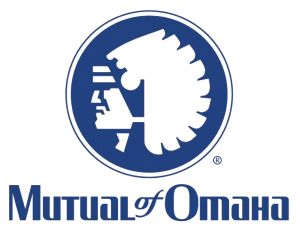 Mutual of Omaha offers an all around great no exam option called Signature Term Express. One of several key features to their no exam coverage are the many living benefit riders that come included at no additional cost. Signature Term Express also comes with some attractive optional policy riders such as monthly disability income option as well as return of premium option. In addition to great policy riders, Signature Term Express offers a conversion option up to age 70. Signature Term Express can be applied for by paper application or done electronically online with an agent. Underwriting is a little slower than other no medical life insurance companies sometimes taking a week for even very healthy applicant. However, Mutual of Omaha is very good with underwriting those with health issues as well as applicants that may be a little overweight. The Accelerated Death Benefit Riders allow for an early payout of the death benefit when a qualifying chronic, critical or terminal illness has occurred and been certified by a licensed physician. Chronic Illness: Must be unable to perform two of the six Activities of Daily Living also know as (ADLs) for 90 consecutive days, or requires substantial supervision to protect himself or herself from threats to health and safety due to severe cognitive impairment. Critical Illness: Certified by a physician as having one or more of the following conditions within the last 12 months: ALS, kidney failure, life-threatening cancer, major organ failure, heart attack and stroke. Terminal Illness: Provides a payout of the death benefit if there is evidence that the insured has a life expectancy of 12 or less months. Premiums will be waived if the insured’s primary residence has sustained $25,000 or more in damage. The premium will be waived for one six-month period. Premiums will be waived for a six-month period if the insured becomes unemployed. The policy must be in force for at least two years before this rider can be used. The elimination period is four continuous weeks and must be receiving state or federal unemployment. If the insured dies in an accident while a fare-paying passenger on a common carrier, the insurance company will payout an additional death benefit equal to the life insurance policy or up to $250,000, whichever is less. After year two, the life insurance policy may be converted to permanent life insurance without evidence of insurability. The conversion option must be used before the end of the level premium term period or prior to age 70, whichever occurs first. Provides up to $5,000 or $10,000 of term life insurance coverage under the insured’s policy. Coverage will expire if the insured has turned 65, the child has turned age 23 or the base policy has expired. The child’s coverage can be converted to permanent coverage with a death benefit up to five times the amount of the riders benefit. The insured can apply for either an 18 or 30-month benefit. The monthly income amount and the benefit amount cannot be changed after the policy has been issued. The elimination period is 90 days. * In MD 120-day elimination period. If the insured has become disabled and unable to work, the life insurance premiums will be waived through the entire remaining level premium period. The elimination period is 90 days. The benefit will terminate if the insured is no longer disabled. This rider will payout an additional death benefit if death has occurred due to an accident. Provides a refund of 100% of paid premiums at the end of the level term period. North American’s LifeVue is another up and coming no exam life insurance option. It’s simple, fast and hassle free. If you’re looking for basic life insurance coverage than this may be your company. LifeVue doesn’t offer much in policy riders but they are one of very few companies that you can get up to $500,000 of life insurance without an exam. In addition to higher death benefits, rates can be very affordable. LifeVue is one of a very few companies to offer preferred health classes for qualifying healthy applicants. There are two drawbacks to LifeVue term life insurance. If you’re looking for a 10-year term option it’s not available as the 15-year is the lowest contract length. The second drawback is that the death benefit amounts are limited by age. If you’re over 50 and need more than $500,000 you’ll have to look elsewhere. On the plus side, applying for coverage is all done by telephone with an agent. After the telephone application has been complete, approval can be made literally in minutes. LifeVue underwriting is done on an accept or reject basis so those with some health conditions will not qualify. The Accelerated Death Benefit Endorsement provides early access to the death benefit if the insured is diagnosed with a terminal illness. The maximum Accelerated Death Benefit is 75% of the death benefit and the insured must have a life expectancy of 24 month or less. During policy years 1-5, the life insurance policy may be converted to permanent life insurance without evidence of insurability. Sagicor’s Sage Term is arguably one of the best no medical exam life insurance companies around. Sage Term comes with the option to apply for up to $500,000 of level premium term life insurance with no exam being required. In addition to higher death benefits, some applicants will be able to qualify for preferred rates rather than standard rates often common with the other no exam companies. With the ability to qualify for preferred rates, Sagicor often beats out the competition based on price. Sage Term has been known to provide quick same day approval times but in many cases, you can expect a 24-72 hour turnaround time. There are two methods of applying, which include both paper application and electronic e-app. The electronic e-application is the preferred method as it can result in a faster approval time. The Accelerated Benefit Insurance Rider will advance up to a maximum of $300,000 or 50% of the death benefit due to a terminal illness or permanent confinement to a nursing home. Terminal Condition: Insured is expected to live 12 months or less. Nursing Home Confinement: Insured is expected to remain confined to a nursing home until death. Sage Term offers a conversion option that allows coverage to be converted without evidence of insurability to any permanent life insurance policy. The conversion option must be elected prior to age 70. If the term policy is converted during policy years 2-5 a conversion credit equal to the term premium will be applied to the new coverage. The Children’s Term Rider provides level term life insurance for all eligible children. The maximum amount of coverage is $20,000 for each child. The rider expires at age 25 and can be converted to permanent coverage up to five times the original amount. The Accidental Death Benefit rider pays an additional benefit if death is the result of a covered accident. The maximum amount of accidental coverage that can be elected is $250,000. This rider provides for the waiver of premiums due on the policy and any attached riders for as long as the insured is totally disabled. Transamerica’s Trendsetter Living Benefits term life insurance is a solid choice for coverage. There are several available term lengths as well as policy riders. The coverage offered by Transamerica is widely known for it’s built in living benefit riders, hence the coverage name “Trendsetter Living Benefits”. Other than a great solid choice for life insurance coverage from a strong insurance company, the insurance is limited to a maximum coverage amount of $249,999. It is reasonably priced compared to the other no exam companies offering living benefits. Transamerica’s Trendsetter Living Benefits can be applied for by paper application or electronic application. Underwriting times are a bit longer than the other no medical exam companies and can take up to 30 days depending on the applicant applying. If diagnosed with a chronic illness, a portion of the policy’s death benefit can be accessed in advance. A licensed health care physician must certify that the insured is unable to perform, without substantial assistance from another person, at least two of six activities of daily living (bathing, continence, dressing, eating, toileting and transferring) for a period of 90 consecutive days. If diagnosed with a critical illness, a portion of the policy’s death benefit can be accessed in advance. A physician must certify that the insured has suffered a critical health condition such as a heart attack, stroke, cancer, end stage renal failure, major organ transplant, Amyotrophic Lateral Sclerosis (ALS), Blindness or Paralysis. If diagnosed with a terminal illness, 100% of the policy’s death benefit can be accessed in advance as a lump sum payment. A licensed physician must certify that the insured is terminal ill and is expected to die within 12 months of such diagnosis. The Income Protection Option provides a settlement option that is fixed via a Fixed Settlement Endorsement. The policy owner can select how the death benefit will be paid out. Trendsetter LB comes with a guaranteed conversion option that allows for the term life insurance policy to be converted to a permanent life insurance policy without any evidence of insurability. The conversion option must be exercised no later than the end of the level premium term contract or the insured’s 70th birthday. The Monthly Disability Income Rider (MDI) provides a monthly income for up to 24 months if the insured becomes totally disabled. Benefit amount cannot exceed 66% of the insured’s gross monthly income. Provides up to a maximum of $20,000 of insurance on each child of the insured. Coverage expires at age 25 or the policy anniversary at the insured’s age 65, whichever occurs first. At that time the coverage can be converted up to five times the amount of rider coverage or $50,000, whichever is lower. The Accident Indemnity Rider pays an additional benefit if the insured dies in the result of an accidental bodily injury. Death must occur within 90 days from the accident and prior to age 70. The maximum amount of accidental insurance that can be added is $249,999. The premium will be waived in the event of total disability. After a six-month waiting period, life insurance premiums will be waived retroactively from the beginning of the disability. Underwriting is one of the longest of all non-medical underwriting companies.